Hurricane Matthew slammed into the Florida coastline last week and left a path of destruction behind it as it moved up the coast past the Carolinas. A silver C5 Corvette was just one of its victims. 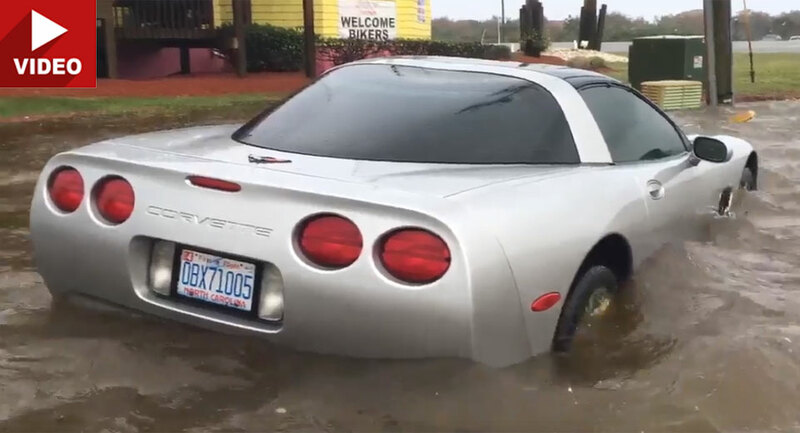 According to Andy Fox of WAVY in Portsmouth, VA, the owner of this Corvette was out driving as the storm hit. The torrential rains of the storm created flash floods in several areas including where this Corvette was. Luckily, the owner was able to escape, but the car was not so lucky as it was filmed surrounded by water in North Carolina. It’s always sad to see Corvette destroyed, but it’s nothing compared to the massive loss of life on the island of Haiti where over 900 people were killed due to Hurricane Matthew.